“America is a lost nation. When an epidemic of vampirism strikes, humans find themselves on the run from vicious, feral beasts. Cities are tombs and survivors cling together in rural pockets, fearful of nightfall. When his family is slaughtered, young Martin (Connor Paolo) is taken under the wing of a grizzled, wayward hunter (Nick Damici) whose new prey are the undead. Reminds of Zombieland, but darker! The film is starring Nick Damici, Connor Paolo, Danielle Harris, Kelly McGillis, Sean Nelson and Michael Cerveris. 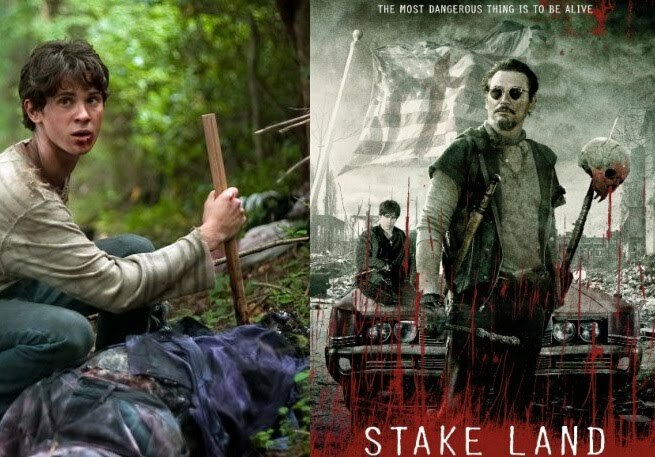 The movie Stakeland will be released in theaters on April 22, 2011.